Libya is one of the main departure points for migrants trying to cross to Europe by sea, usually in flimsy inflatable boats provided by smugglers that often get punctured or break down. 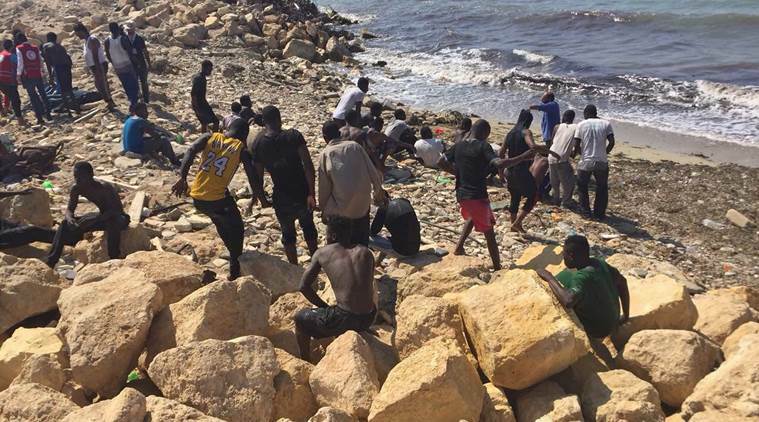 Tripoli: Around 100 people are thought to have drowned from a migrant boat off Libya’s western coast, a coastguard official said on Friday. The coastguard picked up 14 survivors from the boat just east of the capital, Tripoli, the official said. Separately, the coastguard said it had intercepted 200 migrants from two other migrant boats east of Tripoli. Departures surged in 2014 when conflict in Libya worsened and more than 650,000 migrants have crossed the central Mediterranean since then. But the traffic has slowed since last July, when smuggling networks on Libya’s Mediterranean coast were partially disrupted under heavy Italian pressure.